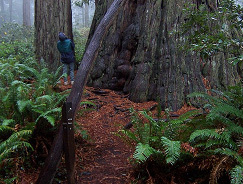 This page about the redwoods and Redwoods Humboldt State Park is for the guests of the Inn of the Beachcomber and those of you that found it in cyber space. The Beachcomber is a 47 unit inn located on the beach in Gold Beach Oregon. We are 53 miles from the Redwood National Parks headquarters in Crescent City, California and all that the coastal redwoods have to offer. 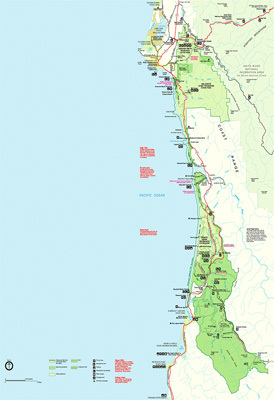 The Humboldt Redwoods State Park is about an hour south of Eureka.